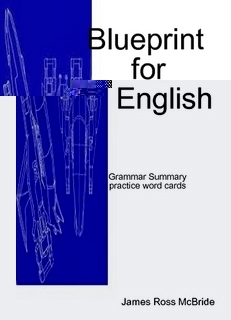 If you liked the English grammar explanations and samples and would like more - you can buy the 96 page grammar summary “Blueprint for English” eBook (for 5 dollars)and get the SentenceMaster practice word cards. Use this grammar eBook to become an English writer. We have updated several sections of the website. We have expanded the Celebrity Sentence Writing Exercises. Try the exercises - test your pop culture and English language writing skill. You get: 400 practice word cards which includes: Conjunction Cards, Article Cards, Verb Cards, Noun Cards, Pronoun Cards, Preposition Cards, Adverb Cards, Adjective Cards and some free bonus word cards. 1. You can buy the Blueprint for English eBook which includes the practice word cards and download it right away at Lulu. Use this link - Yes it is faster and cheaper and includes more. 2. Use the Paypal button to complete your purchase and we will snail mail your paper set! !